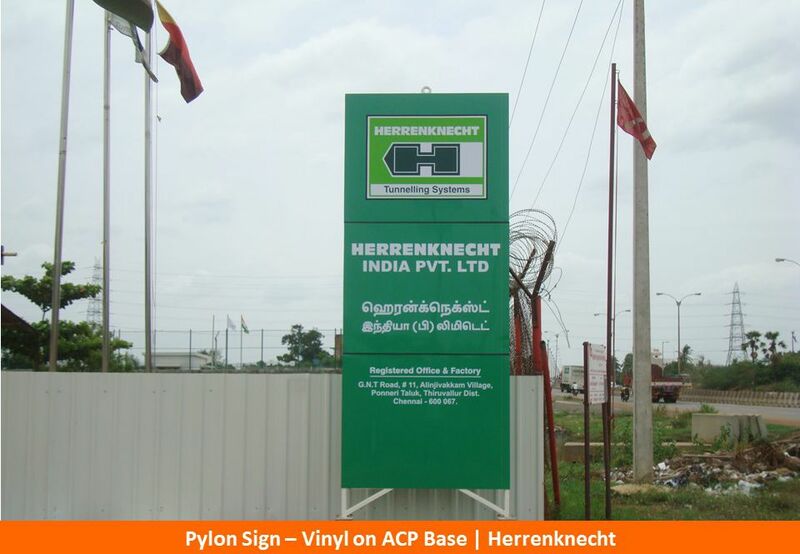 Also called Monolith, this sign is used in establishments that are space-constrained. 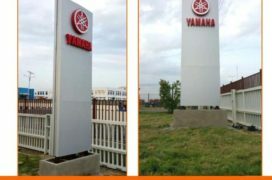 They are manufactured slim and vertical, using steel or acrylic and in custom-made shapes. 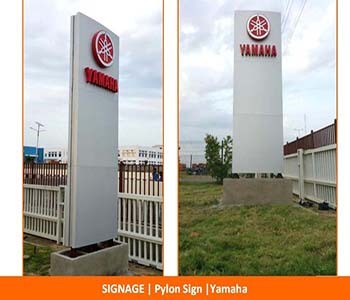 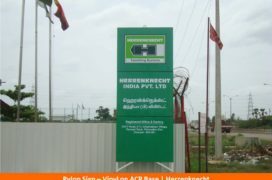 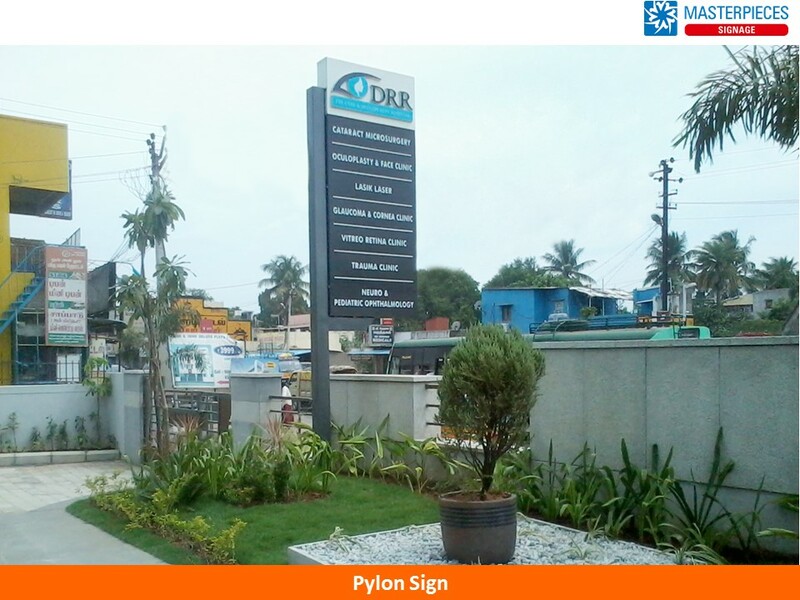 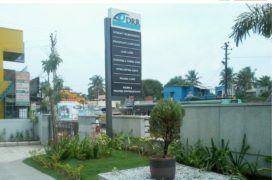 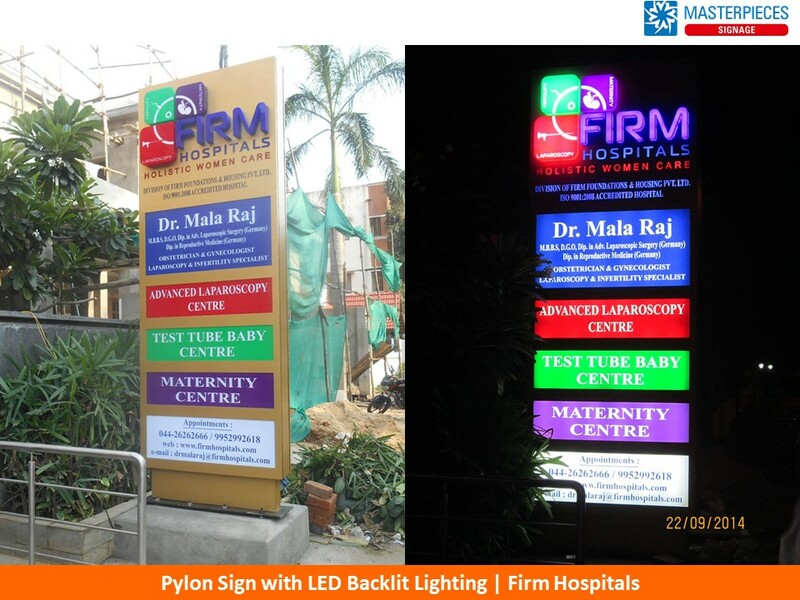 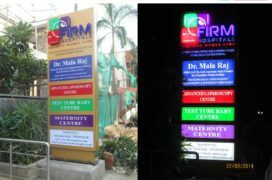 Towering pylon signs are used in shopping and office complexes.